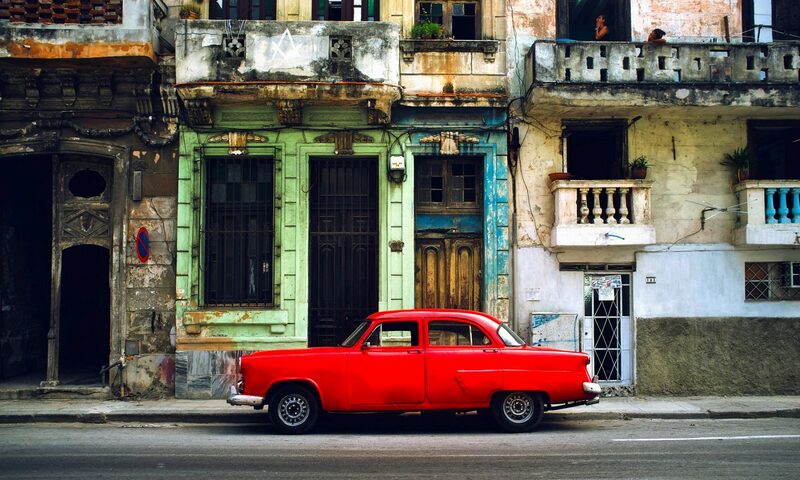 Many people in Havana depend on the old American cars that drive around as fixed route taxi. It’s simple. You stick out your arm horizontally and shout or signal your destination at the driver. He stops, you get in and get out, paying 10 or 20 MN depending on the distance. Worked fine! But now there is a war going on. In December ’17 the government raised the price of illegal diesel by 300%. HuH? Yes, all those beautiful American cars have modern diesel motors that run on diesel, and you will never see one of those so called Almendrones at the gas station. They all run on stolen diesel. So how does de government raise the price of stolen goods? It’s simple. They doubled fines and the number of inspectors. The risk for the merchants went up, supply down, and prices exploded on the black market. Drivers had to raise their prices. The government forbids that right away. Drivers started to make short rounds instead of the usual long hauls. I had to change taxi three times to get home (paying three times 10 Pesos) were before I just took one car, paying 20. So the drivers raised their prices by 50% without raising them. 10 pesos just went less distance. The government counteracted by issuing an official price table. A very detailed description of rates for each trajectory. This, in fact, was lowering the prices people were paying. This has been going on for a few weeks now (March 17) and a solution does not seem at hand. Some drivers make their normal routes, others the short rounds, others drive around empty, and most of them simply stay at home. Some charge the new official prices, others just keep charging the old prices and some stick to the ‘taxi privado’ principle. Public transport in Havana is a mess at the moment and getting home sometimes a chore… The government is bothered with this situation and is deploying extra buses. Streets are full of people looking for transport and empty cars looking to make an extra buck. As soon as the situation settles down, I will tell you the outcome of this conflict. Everything sort of back to normal. (normal is NOT a Cuban concept). Taxis are working again at the prices they used to ask before the whole conflict. The price of illegal diesel back down to about 10 cents per liter. So it’s safe to recommend them again. 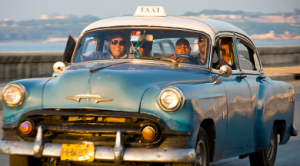 Do take a fixed route taxi while in Havana! The dirvers counter by refusing longer distances and thus effectively raising the prices again. The government is fed up with this capitalistic game and trows in a lot of buses that take the fixed routes, taxis take. Same distance for 1 Peso or 5 in an airco bus. No more people looking for rides. Taxis half empty. They are loosing the fight they started. In Januari the new taxi law was applied. Practica consequence: About half of those Classic American cars stopt working as a fixed route taxi! They were replaced by 450 Russian mini vans that are government run. It’s getting hard to find a ‘normal’ fixed route taxi! Previous PostPrevious How to buy a fridge in Cuba?